Tim Ome is a Managing Director at Synergy Advisors, LLC. His career spans over 25 years as a senior finance executive in investment banking, management consulting, venture capital, and investment management. His experience involves a full range of corporate finance, corporate development, and strategic advice in leadership roles. Tim began his finance career with Lehman Brothers as an investment banker. He rose to Senior Vice President and Principal in the firm and was recognized as being the key architect and executive that built Lehman Brothers’ Asia operations. He then joined Bank of America where he established and led its investment banking subsidiary BancAmerica Securities in San Francisco. At BancAmerica Securities he was a Managing Director, and head of its technology investment banking practice. Tim was also with Arthur Anderson’s Corporate Finance Group as co-head of its national technology practice. He transitioned to venture capital as a venture partner with Profile Venture Partners and later joined Boston Biotech, as a General Partner. He was last with Trenwith Securities as the Managing Director of the firm’s Silicon Valley Office. He frequently speaks at various conferences such as the Microsoft Fusion Conference, the Technology Transfer Society of North America, the UC Berkeley Haas School of Business, The George Washington University Graduate School of Business and the National Asian American Society of Accountancy. Tim was published in the Deal.com “the Current State of Mergers and Acquisition in Technology”. He received his BA in American Studies and Applied Mathematics from the University of Hawaii. 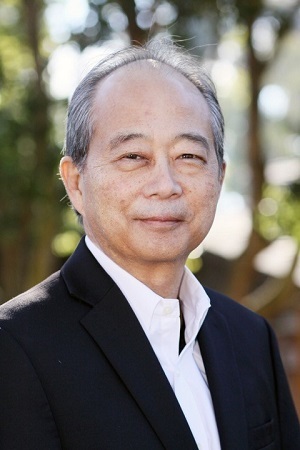 He holds a graduate degree from the Japan America Institute of Management Science, Tokyo, Japan with concentrations in Computer Science and International Management. He received his MBA with emphasis in Finance and International Business from the George Washington University Graduate School of Business and Public Policy. In his academic career he received the Times Scholarship, the Fujitsu Fellowship and the Scottish Rite Fellowship. He served as a Senior Advisor with the US Market Access Center, a board member of the Software Business Cluster, the Environmental Business Cluster, Tekquity Ventures and the HiveGroup.com. He currently is a member of the Global Leadership Council at the Lucas Graduate School of Business – San Jose State University.